Prototyping is a direct way to simulate user experience. A clickable prototype can not only be used to test product features, but also save participants’ time and lower resource consumption. One famous case study shows that prototype design can help to avoid around 25% bugs in product with its strict examination on product logic. Besides, prototype design also ensures the utility of visual design, making the latter complied with user experience fundamentally. All of these are undoubtedly benefits of prototyping. Now we’re not satisfied with just prototyping but pursuing an easy and rapid prototyping way. This is, on the one hand, due to a higher requirement on efficiency, on the other hand, results from the fact that too much attention on details disturbs the logical fluency of designers, since logic goes first and details second in the stage of prototyping. Then what are exactly the benefits of rapid prototyping? Let’s see its definition first. Prototyping: the process that designers sketch the product framework with lines and graphics. Rapid Prototyping: the process that designers realize their thoughts rapidly with efficient prototype design tools; demonstrate the project fluently; make modifications and verifications flexibly. Benefits of Rapid Prototyping - Why Is It So Important? From the definition above we can see, rapid prototyping means not only fast wireframing, but also quick demonstration, modification and verification. In this article I’ll talk about the benefits of rapid prototyping from three aspects: prototype design, demonstration and modification. With this efficient tool to make rapid prototyping, designers can check and change the relationships of any parent & child pages anytime. They are allowed to insert, delete or move pages as they want. With the classified components listing below, designers can find components they need with no efforts. The “drag and drop” feature saves a lot of clicks and simplifies the operations. On the right parameter setting panel, designers can adjust the alignment, color and transparency or other parameters of components. Only one click to switch to the interaction panel and build any interaction you want. 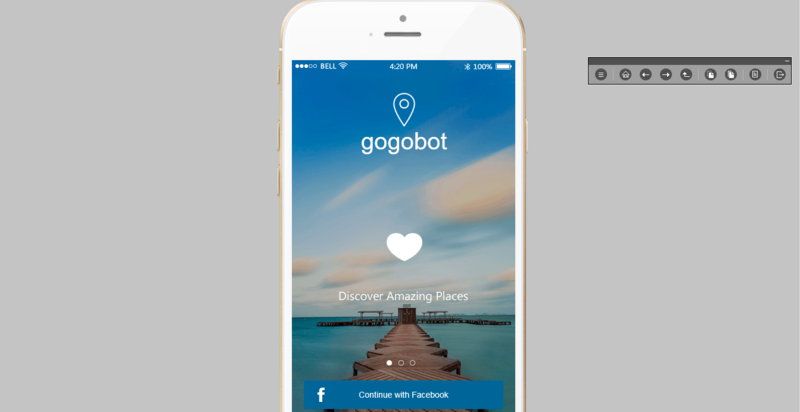 With an efficient prototyping tools like this, designers can quickly make their thoughts into reality. This is the first benefit of rapid prototyping. Product making is a test on the communication skills of all parties in a product circle (designers, product managers, developers, investors, etc.) and also a test on the demonstration capability of prototype tools. Suppose product managers have trouble in showing product contents to their clients, even the best ideas can be ignored. It sounds like demonstration is easy to make, but it’s in fact difficult to simulate user experience accurately. In rapid prototyping, the prototype design tool used should be capable of demonstrating the project content quickly and simulating users’ experience to the greatest extent. Rapid prototype demonstration enables designers to play their best state, which helps to promote their ideas. This is also a great benefit of rapid prototyping. As we’ve mentioned above, the designers don’t need to pay much attention on details but focus on the logic structure when designing a prototype. 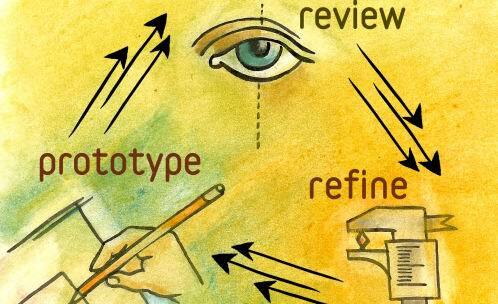 As the most important quality of product managers & ux designers aren’t visual design skills but holistic view and empathy, rapid prototyping will save designers’ time and energy for constantly analyzing & improving the logic and user experience of a product. In this stage, rapid prototyping refers to rapid modification and iteration, so the prototype tools used must offer easy & fast modification ways for designers in order to optimize the products in an efficient way, which will finally improve the project competence of designers. To sum up, there are three main benefits of rapid prototyping: ensures the logic fluency of designers; helps product managers to promote their ideas through a fluent demonstration; improve the project competence of designers by quick modification and iteration. Whether you are product / project managers or UX / UI designers, rapid prototyping is the best choice for you.